Acclaimed musician and NJIT Distinguished Professor of Humanities, David Rothenberg, has recently been named a 2019 Fellow by the Safina Center for his career contributions in the fields of philosophy, art and conservation science. The Safina Center — founded by writer and environmentalist Carl Safina — aims to promote a wide-ranging cultural and scientific approach to pressing ecological issues, and “create a body of scientific and creative works that advance the conservation of wildlife and the environment, and give a voice to nature.” As part of its mission, the organization awards $15,000 to each of its new fellows to help enable them to complete critical aspects of their projects such as travel, editing or writing. Rothenberg’s fellowship comes in recognition of his distinguished career as an author of twelve books on the topics of the natural world and philosophy, as well as accomplishments as an internationally known composer and jazz clarinetist. 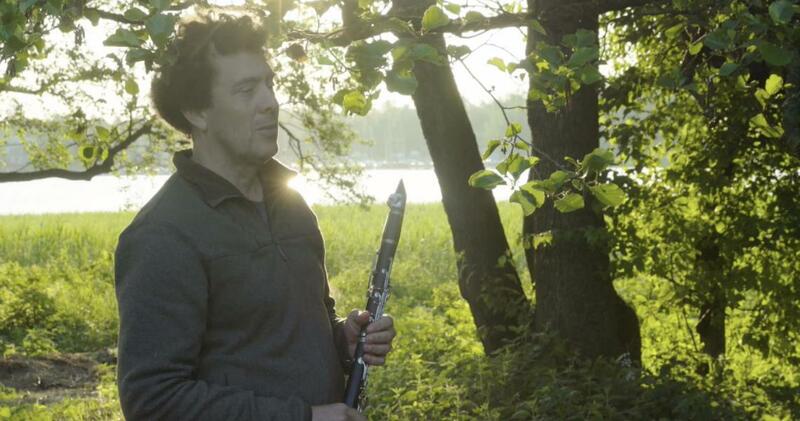 His releases, on ECM Records and other labels, feature unique clarinet performances often recorded in nature, live with the music of birds, whales and insects. For Rothenberg, the award will serve to help promote a new joint book, film and musical recording project, titled "Nightingales in Berlin.” As part of the work, Rothenberg and an international band of musicians travel to Germany and perform music in concert with large nightingale populations that are known to inhabit Berlin’s public parks. The book’s release, scheduled to be published by the University of Chicago Press in April, is planned to accompany that of the music recording, released by Terra Nova Music around the same time. The project’s film version — directed by Ville Tanttu and produced by Playart Productions Helsinki — will hit festivals later in 2019.